The Toxin is the latest edition to Piranha's line of innovative automatic knives. It has a large ergonomic handle and a 3.75" leaf shaped blade made from 154-CM steel. 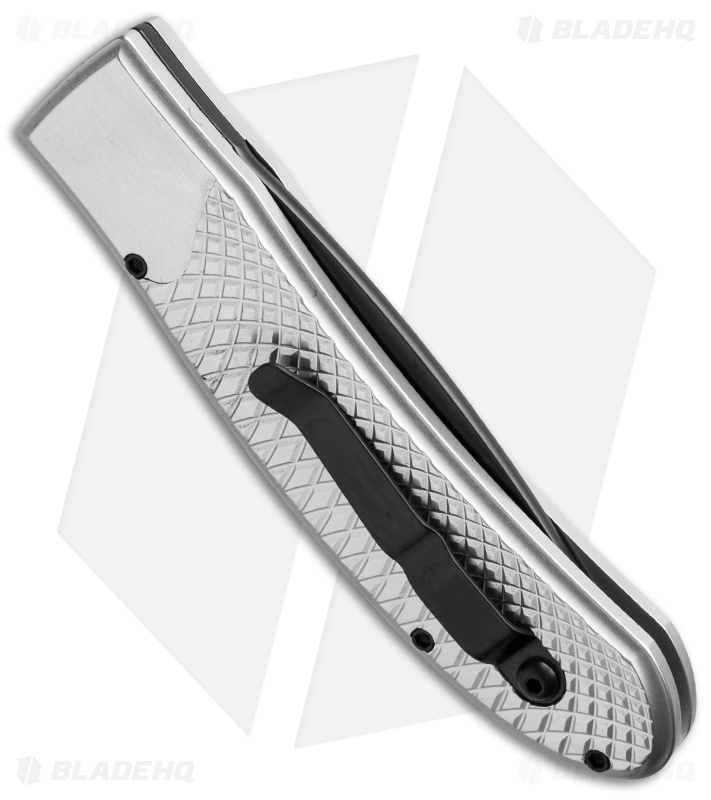 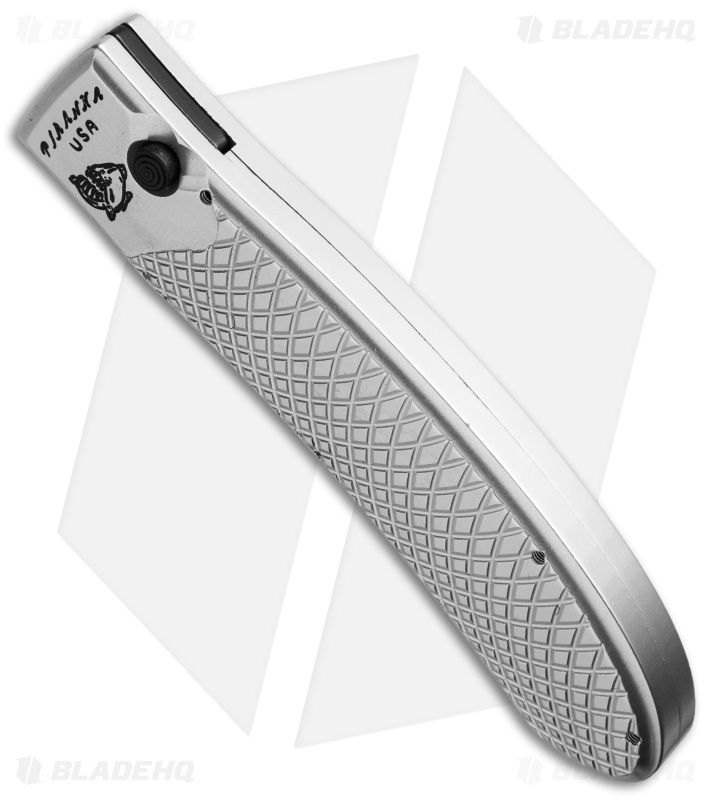 The handle was designed for comfortable everyday use and features a grippy texture and a titanium pocket clip. 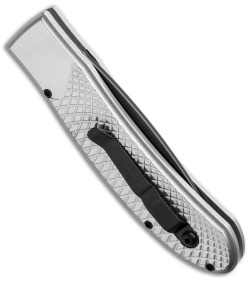 It is made from an anodized aircraft alloy with a Type 3 Hard Coat for strength and durability. 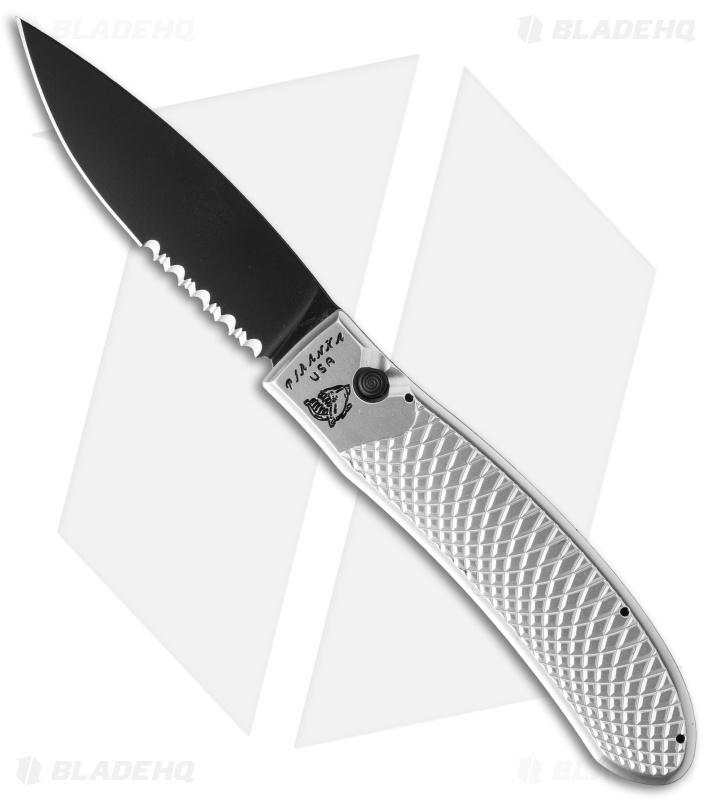 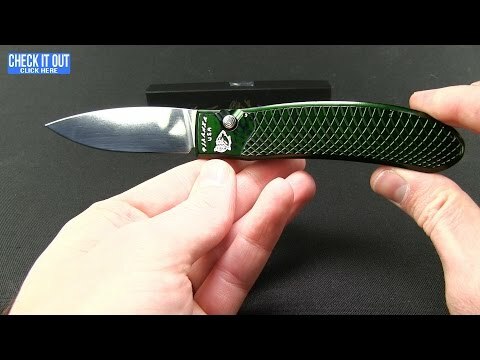 The Piranha Toxin makes a great EDC knife that is both comfortable to use and carry. This Toxin is equipped with a silver colored handle and a partially serrated blade in a black tactical finish.